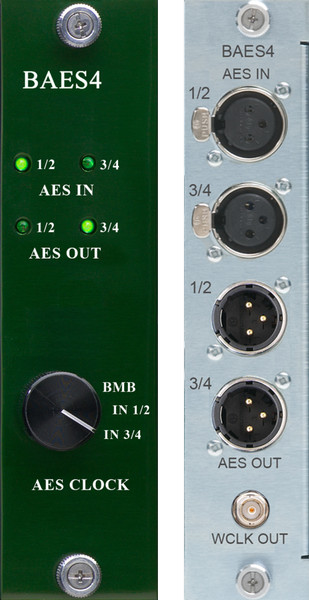 The B80 and B16 MOTHERSHIP daughter card slots can be used for amazing AD/DA conversion, but also for digital IO and clock output. 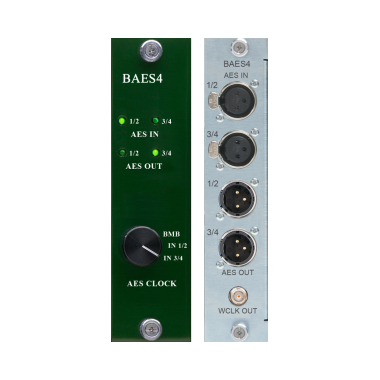 The BAES4 card features 4 channels of AES/EBU IO and the ability to recover and sync to the incoming AES stream. Founded in 2006, BURL AUDIO is a pro audio gear engineering and manufacturing company based in Santa Cruz, California. Based out of Paradise Recording in the Santa Cruz mountains, and spearheaded by Rich Williams, BURL AUDIO’s gear is designed in a commercial recording studio, by professional recording engineers, for recording engineers. The philosophy of BURL AUDIO is to provide the best possible recording devices, in modular, outboard units, to all levels of recording engineers at a reasonable price. All BURL AUDIO products are designed to improve your recording, mix-down, and mastering significantly. BURL AUDIO’s products are designed to be a life-long asset to your studio. BURL is also defined as a tough, yet beautifully knotty base of 2000 year old redwood tree trunks. Burly is the heavy surf and fog that descends without warning over Santa Cruz, California. Burly is an entire band tracking through the B80 Mothership, paired with a vintage Neve console. Burly is the dual rectified guitar and kick drum recorded through a BURL AUDIO B2 Bomber ADC and B1 Mic Pre. Burly is the toughness and heavy build quality of a BURL AUDIO unit. BURL is a creative state of mind. BURL is about music, grace, and power.